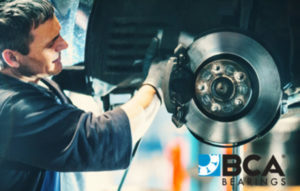 Powered by NTN, the largest manufacturer of wheel hub assemblies in North America, BCA offers a full-line of premium, OE-quality wheel hubs, bearing and seals for both domestic and import applications. 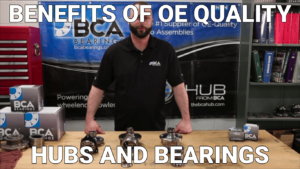 Based on the bench testing and internal inspection results shown in this video, you can see why it is important to replace wheel bearings with OE quality parts. Operating efficiencies in your shop can mean the difference between generating a profit and breaking even, so efficient installation of wheel hub assemblies should be a priority. You can increase efficiency using some straightforward techniques that are applicable to all shops. Proper wheel hub installation reduces vehicle maintenance costs and extends the useful life of wheel hub assemblies and their related parts. Whether it’s preventing comeback wheel bearing replacements or abnormal wear on tires, proper installation can save your customers money (and time) down the road. 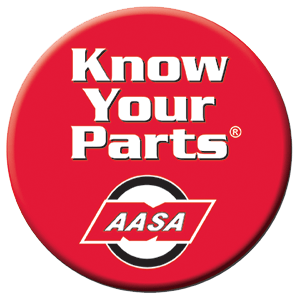 Wheel hub assemblies can fail and require replacement for a number of reasons, making it important to troubleshoot problems if these warning signs occur. Below are some proven troubleshooting methods can lead you in the right direction. How Long Should It Take to Install a Wheel Hub Assembly? Turnaround times for installation have a big impact on a shop’s throughput. The efficient installation of a wheel hub assembly allows a shop to achieve high levels of customer satisfaction and maintain profitability.